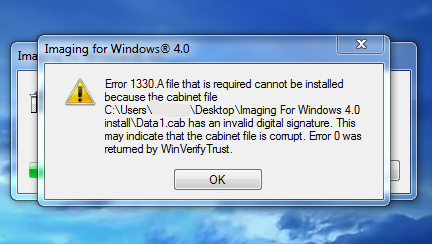 If you get the "Error 1330 a file that is required cannot be installed because the cabinet file data1.cab has an invalid digital signature." You will need to to uninstall imaging for windows using the "Add Remove Programs" from Programs and Features option in the control panel. 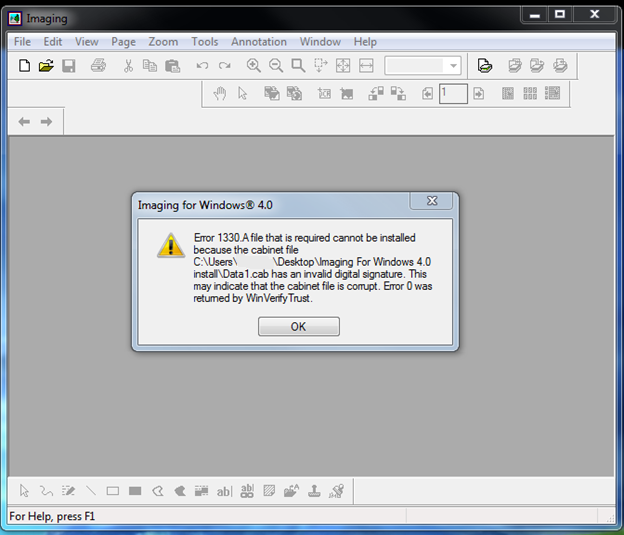 Then install a new copy of Imaging For Windows and reinstall the latest hotfix.